It wasn't that long ago on our travels when people learned we lived in San Diego we'd get responses like, "Oh, that's near Mexico, isn't it?" or "We've been to LA. Is San Diego near there?" But in the last few years, people that we've met around the world now know exactly where San Diego is because they've visited - and they loved it! It seems hotel developers have gotten the message too and the city is in the midst of a hotel boom. San Diego's downtown already has its share of good convention and family hotels but could definitely use more properties in the luxury, boutique or cool-factor categories. 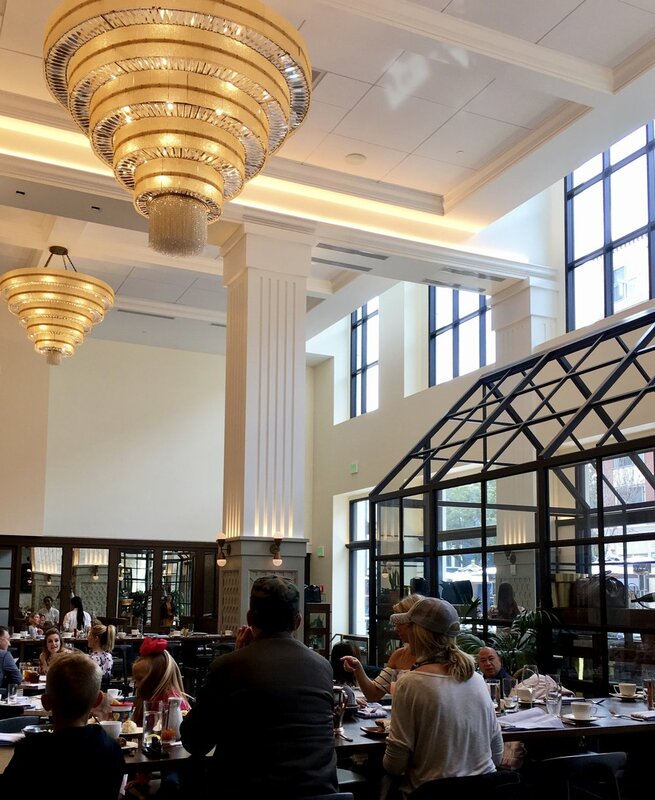 The Pendry Hotel hits the mark in all three categories as we found out when we stopped by for lunch after attending the San Diego Travel and Adventure Show last weekend. The 12-story hotel has an ideal location in the Gaslamp Quarter on the corner of 5th Avenue and J Street and is just a short walk to the San Diego Convention Center and Petco Park. Pendry is an offshoot of the luxe brand, Montage Hotels and Resorts, a management company which oversees such distinctive properties as Montage Laguna Beach, Montage Beverly Hills, Montage Deer Valley and Montage Kapalua Bay. Pendry is the company's second brand which skews to a younger clientele with its edgier design and personality. A second Pendry hotel, in Baltimore, is slated to open this month and there is a third in the works for West Hollywood. I can't ever remember a time when San Diego got a cool hotel before L.A. did. The tenet of the Pendry brand as it states on its website is simple luxury, clean design, well-crafted restaurant experiences, vibrant bars with a perfect balance of polished comfort and modern edge and a taste for rebellion. It was all on display as we were lucky enough to get a peek inside after we introduced ourselves as local travel agents to the concierge in the lobby. Ryan offered to show us a couple of the hotel's 317 guest rooms and invited us to take a look at the rooftop pool deck and spa before heading off for our lunch at the hotel's Provisional Restaurant. The lobby reminded me of a grand train station from the Art Deco era with its wood paneled ceiling, curved polished lobby desk, tufted velvet settee, mosaic-tiled floors and wrought iron and brass accents on furniture and lighting fixtures. The lobby was bright and airy with large windows, lush plants and an inviting sitting area with a fireplace situated beneath a giant birdcage pendant light. We rode the elevator to the second floor where Ryan showed us a Premier Room with large windows and modern furnishings in soothing ocean-inspired colors. The king bed was dressed in luxury linens and the nightstand held a Bluetooth-enabled Nixon speaker for streaming music. The only separation between the bed and bath was the floor-to-ceiling glass shower enclosure which could be concealed with a curtain. I thought it was odd but after pondering for a moment I realized this feature speaks to Pendry's slightly rebellious character and I think its young, edgy clientele would likely embrace the concept. The bathroom had luxurious touches like a marble vanity, chic Waterworks accessories and custom amenities from the east coast parfumerie MiN New York. On the third floor, Ryan showed us one of the Deluxe Suites which featured a separate living room with wet bar and floor to ceiling windows offering views of the city skyline. The luxury bathroom included a dual marble vanity, MiN New York bath products and a dual-head, walk-in shower. We passed through the spa on our way to the rooftop deck and Pool House lounge which overlooks the Gaslamp Quarter's bustling 5th Avenue and city views beyond. The Pendry's penchant for simple luxury and clean lines are evident on the deck. The poolside lounges and cabanas are decorated with classic striped cushions, pillows and light, billowy drapery. There is also a 1,082 sq.-foot Cabana Pool Suite with full kitchen, dining room and entertainment area that opens up directly to the pool deck. The bedroom has 180-degree views of the Gaslamp Quarter. We didn't get to see Lionfish, the hotel's fine dining restaurant specializing in seafood and prime cuts or the Oxford Social Club, a cocktail lounge open Thurs. - Sat. from 10pm-2am. 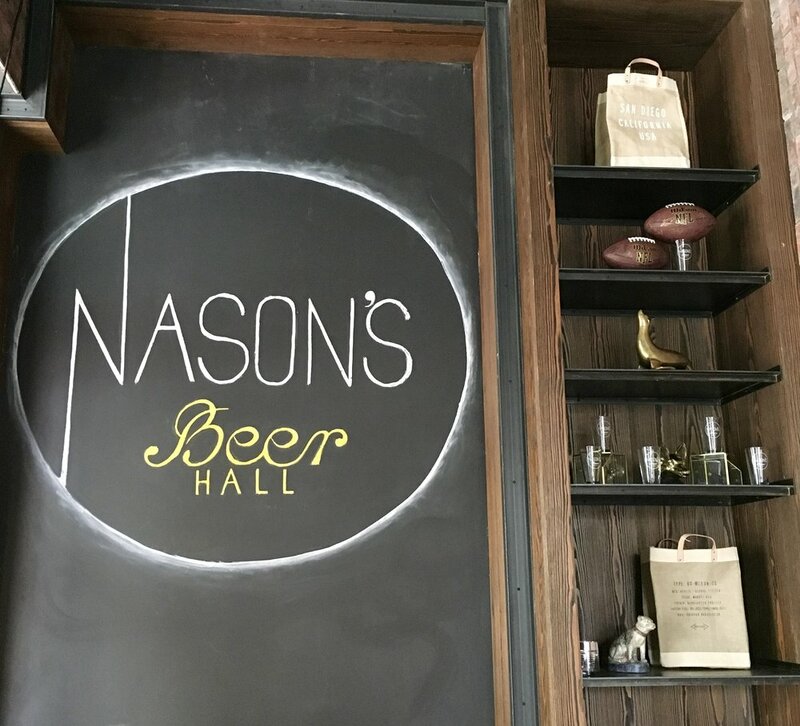 We checked out some of the special event spaces, looked in on Nason's Beer Hall (which wasn't open at the time) and Fifth & Rose, the elegant and chic bar just off the lobby. I was really impressed each space had its own personality but blended well together. The design team did a great job bringing together classic elegance, industrial detailing and modern flare throughout the property. We bid farewell to Ryan and went to have lunch at Provisional, the all-day dining option in the hotel. It's a restaurant-marketplace with dining room and bistro seating or carry-out options from the coffee/pastry bar or gelato counter. We ordered light lunch from the Cafe Menu and added two beers from the nice selection of bottled craft beers. The staff was amazingly attentive (and because we live in San Diego we can attest that some wait staffs tend to be a little too laid back) and saw to our every need. We asked our waitress if Provisional had been busy since opening and she said lunch was their busiest time as it draws a good local business crowd and many residents from the numerous nearby condos. We shared a gelato and our waitress gave us two samples of coffee from the elaborate cold-brewing contraption on the counter. We had inquired about it while we were having our lunch and she just thought we'd like to try it. Nice! I know new hotels can have service issues when they first open but every employee we encountered was exceptional, poised and exceedingly helpful. We had just stopped in to check out the hotel and have lunch but ended up getting a tour and were treated as if we were guests. Obviously, we didn't stay at the hotel but will definitely come back to try the other restaurants and have cocktails before a show, concert or ballgame at nearby Petco Park. 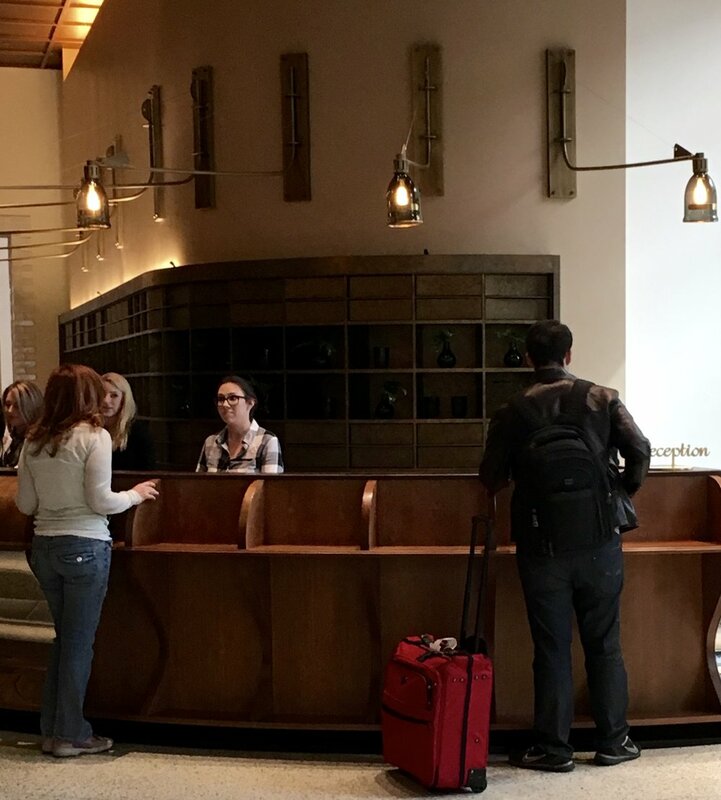 If the Pendry staff is this nice to "drop in" visitors I can only imagine how well it takes care of its guests.